If you want to promote your local business within the social media network, Facebook has something to give you as a tool in accomplishing this goal. If you are not aware of it, there is a Facebook Local Search Tool that is not merely for socials only but is optimized for business promotions as well. Facebook Local Search is a mobile application that allows Facebook users to get an update about their friends’ location. Initially designed to allow people to track down and discover where their Facebook friends have been and for the user itself to check-in their location in their social media account using their mobile device, the tool has become optimized to allow its users to do more than just checking-in their location. One has the ability to “like,” rate and recommend places that they have been to. It is also possible to search for local businesses according to category, sub-category and specific locations. Facebook Local Search provides a significant way of improving your business through promoting your establishment by creating your own Facebook Page. Each time your friends search for local business within their area, there is a high chance of finding or discovering your business. Likewise, when someone likes, rate or recommend your business, it gives your business a significant momentum to become more visible within the Facebook community with millions of users. There is a unique way to make people discover your business using this feature. 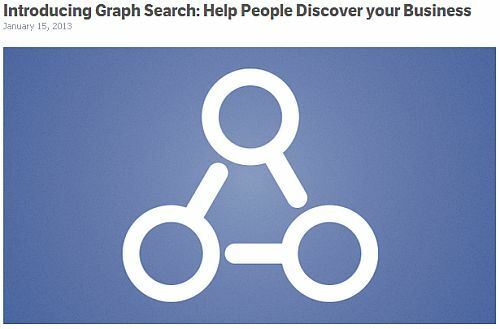 Each time a Facebook user searches from Facebook Local Search, the search result is dependent upon their connection. The tool will only display results that are based according to the likes, recommendation and rated businesses of your friends. This means that the more your friends like, rate or recommend your business the more your business becomes visible to other people’s searches. It is therefore crucial that you not only create your own business Facebook page but you should encourage your network of friends to like your local business Facebook page or to recommend it or give a rating. This will help increase your business visibility in the Facebook community thus increases the scope of your business promotion to millions of Facebook users. You can also improve the chance of your business to be discovered on Facebook Local Search by creating a category for your business. People can search for local businesses using this feature by category and having your business enlisted to a specific category will make it easier for the search result to find your business. You should also optimize the promotion of your business by providing accurate information about your business such as your complete address, email and telephone number. It is also essential to become more engaged with your friends’ activities in order to further advertise your business to your friends. You should encourage them to take action by prodding them to like, recommend or rate your business page. The more people will take this action, the better your business exposure on Facebook Local Search will become. By promoting your business actively on the local search feature, you will further increase your company’s visibility. You cannot simply rely for people to find your business from their local search by chance. You need to be more engaged in promoting your own business in order to optimize results. Going social is one of the best ways to help you do this. You can encourage to spread the word about your business with the help of your network of friends by getting involved in their discussions and encourage them to recommend your business to other friends. The simple way to do this is to make them like your page for their network of friends to see as well. It is also essential to work on your reputation to make your business known in the Facebook community. Being able to post useful content on your Facebook page will further encourage your friends to like and trust your business. You can promote your products and services and allow your potential customers to be heard and you should listen to their comments and recommendations in order to help improve your business. Another way to encourage your friends to take action in liking, rating or recommending your business on this feature would be to launch contests or perks such as giving incentives or discount coupons for those who will like your local business on Facebook Local Search. If you own a coffee shop for instance, a free cup of coffee can do a long way of encouraging your friends to like or recommend your local business in Facebook’s Local Search which could produce an effective online marketing result for more people to find your local business in Facebook. Stacy Carter, a tech/seo writer and professional blogger, runs her own website: Phone Spy where you can find out much useful info how to use spy software for your mobile device.